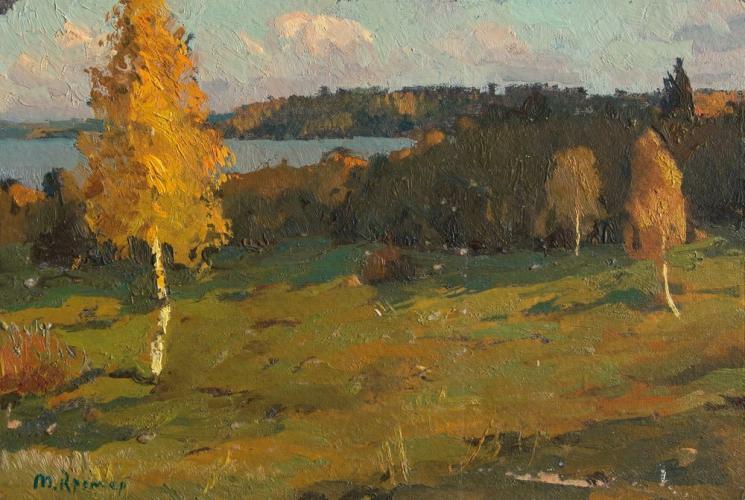 &#65279;In the sunlit glade, a tall, slender birch, strewn with autumn gold. Around the glade is a dark thicket of forest. A wide blue river is visible in the distance. White clouds float above the treetops. In the village Red sunny autumn day..